1. 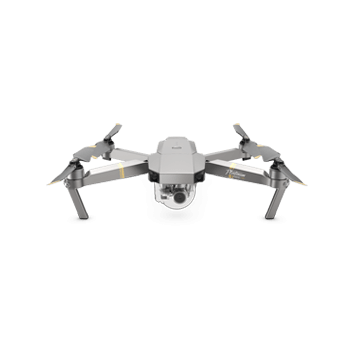 How many times can the Mavic Pro Platinum's arms be folded? 2. Can the motors start when the Mavic Pro Platinum's arms are folded? Yes. There are no sensors on the arms, so the arms cannot judge whether they are folded or not. 3. The Mavic Pro Platinum's motors are not all on the same plane. Will this affect its flight performance? 4. What is built into the Mavic Pro Platinum's front arms? The Mavic has two antennas. One antenna is built into both of the Mavic Pro Platinum's front arms. 5. Is the aluminum alloy board on the bottom of the Mavic Pro Platinum water-proof? No. It is not advised to start the Mavic Pro Platinum on a wet surface. 6. Should I take the propellers off when in transit? 8. What are the main differences between the Mavic Pro and Mavic Pro Platinum? The maximum flight time of the Mavic Pro Platinum is extended to 30 minutes and the sound pressure level is reduced by 4 dB when it is within 1 m between the aircraft. 9. Does the maximum flight speed increase with the advanced Mavic Pro Platinum's propulsion system? 10. Why is the Mavic Pro Platinum's propellers designed this way? It is designed by considering aerodynamic efficiency and noise characteristics. 11. Why is the flight time of the Mavic Pro Platinum increased? The FOC control solution improves the efficiency of the motor & ESC. Besides, the aerodynamic efficiency of the Mavic Pro Platinum's propellers are also improved. 1. What kind of gimbal does the Mavic Pro Platinum use? 2. Can I disassemble the Mavic Pro Platinum's gimbal? No. Other components and cables may be damaged. 3. What are the specifications of the Mavic Pro Platinum's lens? FOV: 78.8°; Focus: 28mm (35 mm format equivalent); Aperture: f/2.2. 4. What's the Mavic Pro Platinum's maximum video bit rate? 5. How long can a video be recorded with a 16G SD card? When recording 720p video at 1080p at 25/24fps and 25Mbps: 84 minutes. 6. What's the controllable range of Pitch and Roll for the Mavic Pro Platinum's camera? 7. What's the minimum focus distance of the Mavic Pro Platinum's camera? You can focus on objects as close as 0.5 m.
1. How can I upgrade the firmware on the Mavic Pro Platinum's remote controller? 1. Upgrade the remote controller with the DJI GO app. 2. Upgrade the remote controller with DJI Assistant 2. 3. Upgrade the remote controller together with the aircraft when they are connected to each other with DJI Assistant 2. 2. How can I link the Mavic Pro Platinum's remote controller with the aircraft using the buttons on the remote controller? Press the C1 Button, C2 Button, and Video Recording Button at the same time. After the remote controller emits a "D….DD" sound, press the shutter button. For details, visit https://www.skypixel.com/videos/0563155d-cd84-4521-a9ae-4371e1f3e651. 3. Does the Mavic Pro Platinum's remote controller have an HDMI output? 4. Can I turn off or change the beeping tone of the Mavic Pro Platinum's remote controller? No. The beeping is used is to warn or inform users in certain situations and cannot be turned off or changed. 5. When should I use the Pause Button on the Mavic Pro Platinum's remote controller? When the aircraft is being controlled with a remote controller, the Pause Button can be used in normal flight or intelligent flight modes. Once the Pause Button has been pressed, the aircraft will brake and hover. You won't be able to control the aircraft with the right stick for two to three seconds. After two or three seconds, the aircraft will resume moving according to your stick inputs or the flight mode your currently in. 6. Does the Mavic Pro Platinum support dual controller operation? 7. What size smartphones fit the Mavic Pro Platinum's remote controller? The Mavic Pro Platinum's remote controller fits smartphones 6.5-8.5mm thick and up to 160mm long, without a phone case. 8. What's the effective transmission distance of the Mavic Pro Platinum's remote controller? FCC: 7 km, CE: 4 km (Unobstructed, free of interference). 9. Can the Mavic Pro Platinum's remote controller be used with the Mavic Pro? 1. The DJI GO app says "Disconnected". How can I fix this? 1. 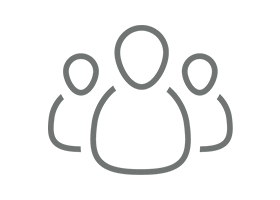 Ensure that your mobile device is on the approved devices list on DJI's website. 2. Check if the mobile device is connected with the remote controller. Please reconnect the USB cable or try connecting with a different cable or USB port. 3. For Android devices, turn on "USB Debugging" under Developer options. If "Disconnected" is still displayed, check if the remote controller is charging the mobile device. If it is, "Only charge the mobile device" is selected in USB options. Please turn on Camera (PTP) under USB computer connection. 2. What is the transmission latency of OcuSync? 160ms from the Mavic Pro Platinum’s camera to your device screen under ideal conditions. 3. Does OcuSync switch live view resolution between 720p and 1080p based on the environment? OcuSync will not switch the live view resolution based on the environment. You can set a resolution as required in the DJI GO app. 1. Does the Mavic Pro Platinum use an Intelligent Flight Battery? Like the Mavic Pro, the Mavic Pro Platinum is equipped with a DJI Intelligent Flight Battery that features data storage and self-discharge. 2. What is the Mavic Pro Platinum Intelligent Flight Battery's capacity? 3. What is the maxium flight time if the Mavic Pro Platinum's Intelligent Flight Battery is fully charged? 4. How long does it take to charge a Mavic Pro Platinum's Intelligent Flight Battery? It takes about 80 minutes to charge a battery with the original charger. 5. What is the charging temperature range for the Mavic Pro Platinum's Intelligent Flight Battery? 6. What is the voltage and wattage of the Mavic's charger? The voltage is 13.05V and the wattage is 50W. 7. How do I upgrade the firmware for the Mavic Pro Platinum's Intelligent Flight Battery? The battery will upgrade when the aircraft is updated. A prompt will be displayed in the app. Slide the slider to update the battery. 8. How often should the Mavic Pro Platinum's Intelligent Flight Battery be charged and discharged? The Mavic Pro Platinum's battery has a more advanced chip than earlier DJI intelligent batteries, so it does not need to be fully charged or discharged manually. 9. Can the Mavic Pro Platinum's battery be used with the Mavic Pro? 1. What should I do if I seldom capture selfies successfully in Gesture mode? In Gesture mode, arm movement is more likely to be detected than finger movement. To increase the probability of capturing selfies in Gesture mode, extend your arms to the left and right before making the selfie gesture. 2. How can I reframe a subject when I'm tracking in ActiveTrack mode? After selecting a subject in ActiveTrack mode, you can drag the rectangle on the screen to reposition the subject in the frame. 3. What does the new feature Tripod Mode do? Can it help improve the quality of long-exposure shots taken at night? Tripod Mode is designed to slow aircraft movement, which allows users to operate accurately. Tripod mode is not designed to assist with long-exposure night photography. 4. When should I use the Mavic Pro Platinum's TapFly mode? If you've identified an object you want to capture that's far away, you can use TapFly mode to approach it steadily at speed you set. Flight direction can be changed during flight by using the DJI GO app. 5. How can the Mavic Pro Platinum exit an Intelligent Flight Mode? You can either toggle the Flight Mode Switch to Sport (when Multiple Flight Modes is enabled), or press and hold the RTH button on the controller, then exit the flight mode. 1. Why does image transmission cut out within a short distance when I use the WiFi signal from my mobile device to control the Mavic Pro Platinum? WiFi signal is highly subject to environmental interference. The short distance may be related to your environment or the performance of your mobile device. 2. The Mavic Pro Platinum's bottom shell emits a lot of heat. Will this affect the aircraft if the Mavic Pro Platinum is being used for a long period of time? The aircraft will not be affected if it is flown for a long period of time. The Mavic emits a lot of heat because it contains 24 high performance processors. A fan and the metal bottom shell were included in the design to assist with heat dissipation. 3. Can I charge the Mavic Pro Platinum's remote controller using a mobile power bank? It is not recommended to charge the remote controller with a mobile power bank. This may damage the coulometer. Battery level readings for the remote controller may become incorrect, and the battery consumption speed may become greater than the charging speed.